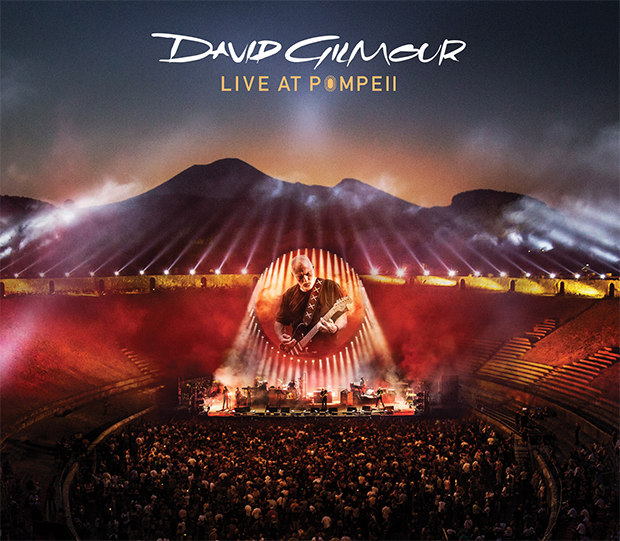 Columbia Records has announced David Gilmour – Live At Pompeii for multi-format release on September 29th. The concert culminates from two performances on July 7th and 8th, 2016 at the legendary Pompeii Amphitheatre in the shadow of Mount Vesuvius, 45 years after Gilmour first played there for Adrian Maben’s classic film, Pink Floyd Live at Pompeii. The set is available on 2 CD, Blu-ray, 2 DVD, 2 CD/Blu-ray Deluxe Edition and 4 LP. The film includes songs from throughout Gilmour’s career including the title tracks of his two most recent No. 1 solo albums Rattle That Lock and On An Island. Also included are other solo and Pink Floyd classics such as “Wish You Were Here,” “Comfortably Numb” and “One Of These Days,” the only song that was also performed by the band in 1971. Both concerts also saw extraordinary performances of “The Great Gig In The Sky” from “The Dark Side Of The Moon,” which Gilmour rarely plays as a solo artist. The Blu-ray and DVD present the concert 96/24 PCM Stereo & 96/24 DTS MAA and includes the Pompeii Then & Now documentary. The Deluxe Edition features a bonus Blu-ray Disc with bonus content consisting of performances from Gilmour in South America in 2015 and Wroclaw in 2016, tour documentaries, feature length BBC documentary, photo booklet, Pompeii Guide, four postcards and a poster. The 4 LP edition includes two gatefold sleeves, poly liner inner sleeves, booklet and download card presented in a slipcase. On September 13th, fans can catch a one night only theater viewing in 2,000 cinemas across the world. Trafalgar Releasing is presenting the theater showings in Dolby Atmos sound.